Want to know what action the government takes when pollution is reported in the Gulf Region? Help us win support from the Knight News Challenge for our FOIA-matic online tool allowing citizens of the Gulf Coast to easily submit Freedom of Information Act (FOIA) requests. Every day, SkyTruth Alerts users with subscriptions to the Gulf of Mexico get a litany of pollution reports, but now we have a chance at a share of $5 million dollars to build a tool to find out the rest of the story – and we need your help! The BP Gulf Oil Spill in 2010 attracted media attention from all over the world; but what about the dozens of spills, everything from 6 mile-long oil slicks to a few drops of crude oil, that are reported daily to the U.S. Coast Guard’s National Response Center (NRC)? To help citizens to find out how the Coast Guard and Environmental Protection Agency (EPA) responded to pollution reports, we are proposing FOIA-matic, a new feature to be added to Louisiana Bucket Brigade’s iWitness Pollution Map and our Gulf Oil Spill Tracker. 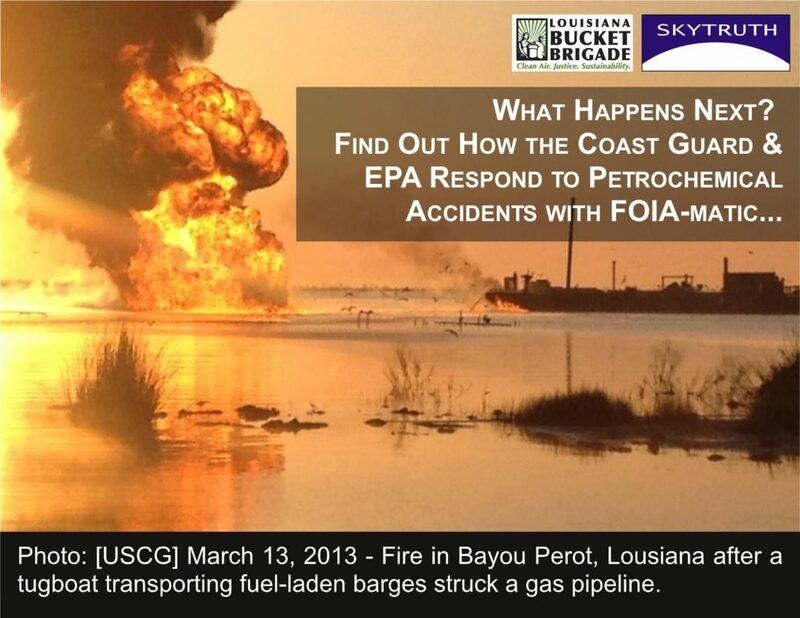 This simple tool will enable anyone to easily submit a Freedom of Information Act (FOIA) request to the Coast Guard and EPA to find out if there was any response or enforcement to a pollution report. FOIA-matic, our proposal to the Knight News Challenge on Open Government, is open for feedback until 5 p.m. E.D.T. on Friday, April 29th. Please click the link below and let us know what you think! Offer suggestions how the tool might work, discuss issues the project needs to account for, and let us know how you might benefit from such a tool. The more feedback and constructive conversation on our entry, the better our chances to win a share of $5 million dollars in funding to build this resource. Providing your comments and applauding our entry requires you to “join the challenge,” either by logging in with Facebook or a valid email address, but please take a few minutes to help make this tool a reality! UPDATE 4/12/2013: Thanks for all your support — we attracted many positive comments and “applauds” — but did not get promoted to the finals. However, we are pursuing other avenues for getting this idea funded. 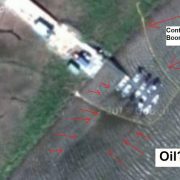 Possible small oil spill found on Google Maps imagery of Alaska? Image and analysis by Michael Cote. Read more on his blog. 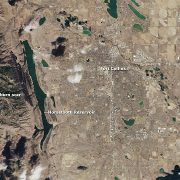 The Google imagery at this location is a high-resolution DigitalGlobe satellite image shot in July 2012. I can’t say with any certainty if the dark smudge in the water is, or isn’t, oil. Michael says a ConocoPhillips spokesman told him it was a “shadow from the river bottom” which is very unlikely (Alaskan rivers are typically very silt-laden and opaque; this river appears typical in that regard, so I doubt we’re actually seeing the river bottom). Whatever it is, it’s a very small feature, about 150 feet long. I think this dark patch is most likely wind shadow: a calm patch of water on the downwind side of a topographic (or human-made) obstruction that appears darker than surrounding, wind-rippled, sun-glinty water. Moving upstream and downstream, you encounter many dark streaks and patches on the river that indicate a strong, uniform wind blowing from the northeast. 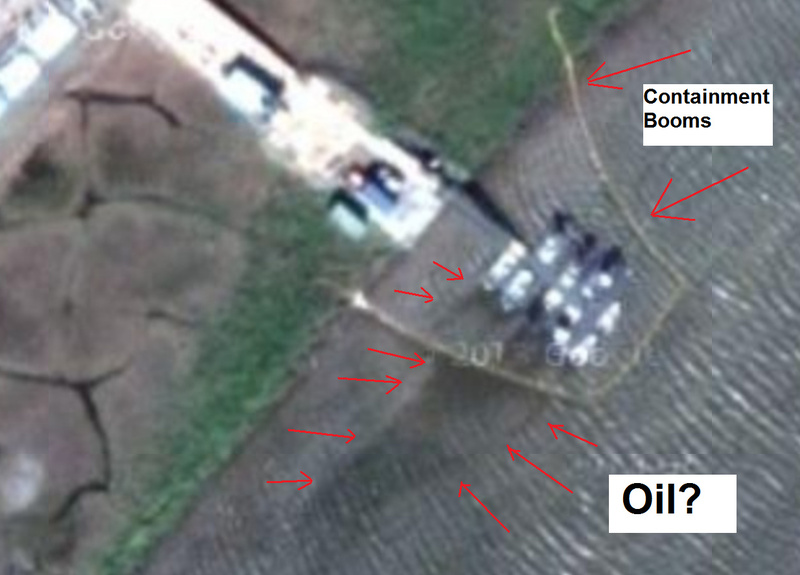 But oilfield infrastructure is often grimy and oily, and it wouldn’t be surprising if there was some light oily sheen emanating from this infrastructure and enhancing the water-flattening effect of wind shadow on the downwind side of this facility. Nevertheless, it’s great to see people using these tools to adopt a patch of planet Earth to watch over, and investigate things for themselves. If you feel like trying a bit of skytruthing, check out the imagery in Google Maps and Google Earth — and the millions of free Landsat satellite images, while you’re at it! — and let us know if you see something interesting, something mysterious, something you’d like us to take a look at! Well, we are absolutely thrilled here at SkyTruth that the new Landsat-8 satellite (also known in classic NASA-speak as the Landsat Data Continuity Mission) appears to be functioning perfectly following it’s flawless launch in early February. Check out these sharp-looking pics of the Colorado Front Range. Landsat-8 satellite image of Fort Collins, Colorado, taken on March 18, 2013. Images courtesy NASA. This extends a stellar run of continuous earth-observation going back to the launch of Landsat-1 in 1972. The millions of images collected since then — all publicly available, for free — constitute a remarkable record and database for measuring changes in landscapes and ecosystems around the world. Of course, here at SkyTruth we make extensive use of Landsat images to track and illustrate the impacts of human activities like coal and tar sands mining, oil and gas drilling and fracking, and logging. Back when I started my remote-sensing career, Landsat images were sold through a for-profit company that charged $4,400 per image (even though the entire system was taxpayer-built and operated). 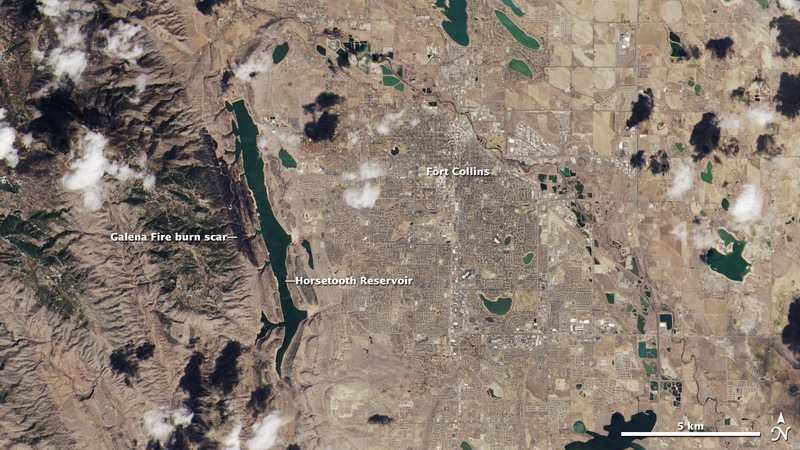 Happily, now you can download every single Landsat image for free and do your own skytruthing. Let us know what you find!